Athletic frame with good foot speed. Works around ball with good angles and smooth actions. Arm plays well for position with some carry. At the plate aggressive on plane stroke with some leverage. Stays into legs well and gets good rotation through swing. 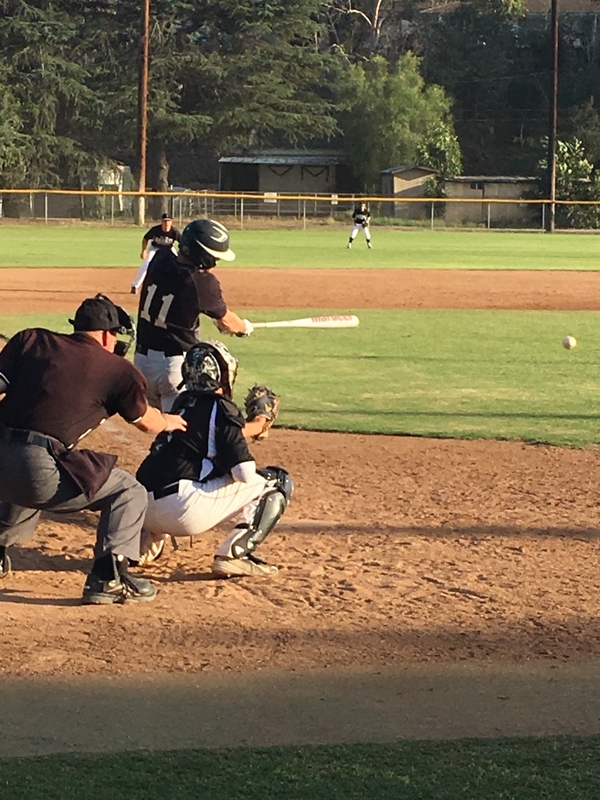 2-3 with 2RBI’s, 1B-6H, 2B-CF, Great job being ready to hit, nice approach up the middle, great job keep his hands inside and being aggressive with the FB. Tall lanky frame with room to fill. Free and easy delivery from high 3/4 arm slot. Good extension through target and inline with target. Fb Sat 83-85 with good late life. Cb Sat 72-75 with medium 10-5 action. Young arm with lots of upside. 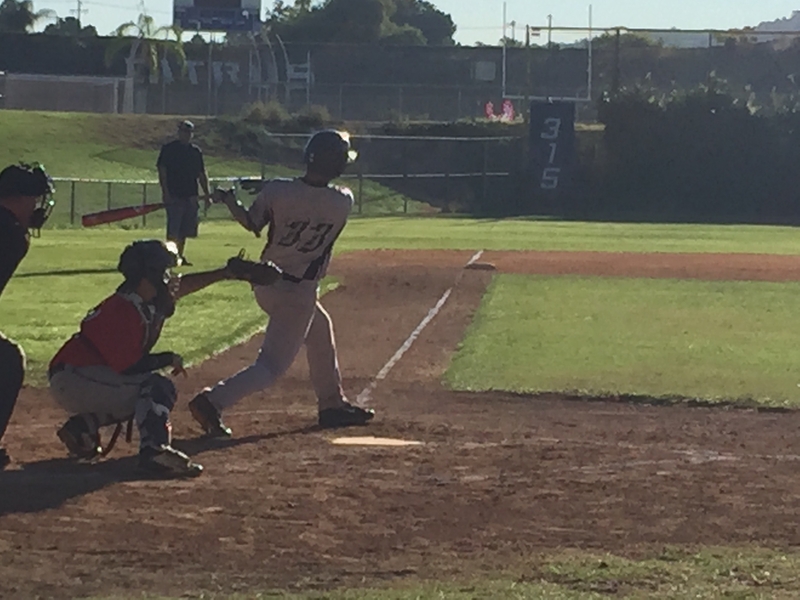 Big strong kid from the left side, short bat path on plane, simple smooth approach while staying inside baseball. 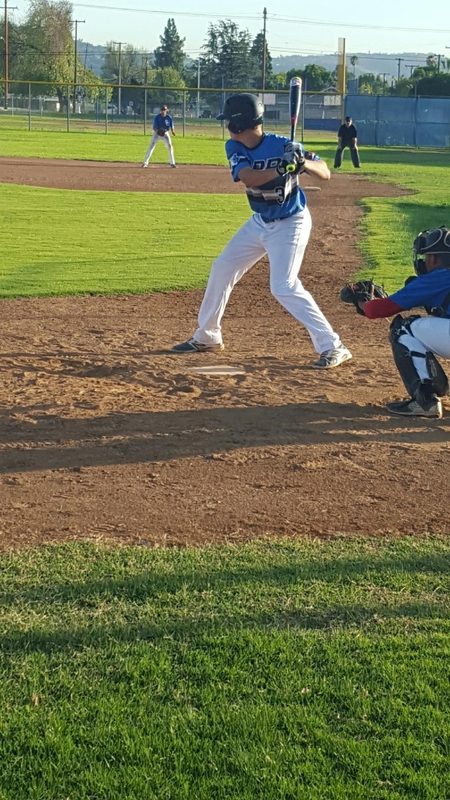 Tall lean frame – FB 82-84 with late two seam action. Cb 72-74 with medium break. Change was 73-75 with good depth and good arm speed. Does a nice job of staying in line with target, long and loose with delivery and hides ball well. Good command of zone and ability to throw all pitches for strikes. High-waisted 6-foot-4 frame with long limbs. Easy motion. Pitched in the 80-83 range, touched 84. Flashed tight slurvy breaking ball between 70 and 75 mph. Located fastball to both sides of plate and challenged hitters in the zone in his first two innings of work. Projectable young pitcher with a chance for two quality pitches. 2.2-2.29 Pop. Great stance to throw and block. Quick feet short arm stroke and feel for release. Good carry. Very active and consistent with blocking tech. Receives very well getting around pitches and presenting to umpire. Has good levers as a hitter. Fairly level and strong at contact point. Gap hitter with good ceiling. Athletic IF with a strong body great lower half. Has a consist knack for getting the barrel on the ball. Shows plus bat speed and good extension with ability to hit to all fields. Good load and base for balance and takes a good aggressive hack. 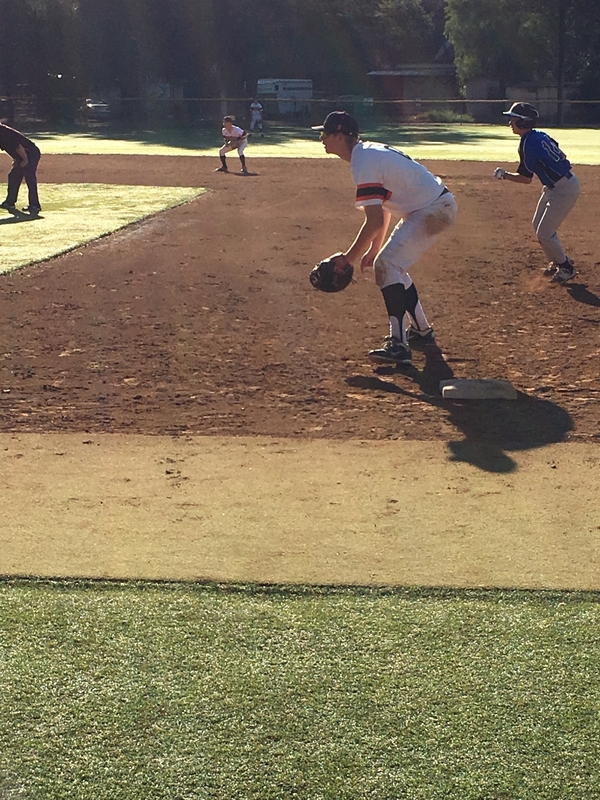 3-3 with 2 hard contacts and 3 runs scored. Plus baserunner. Good approach at the plate. Balanced throughout the swing. Uses all fields well. Strong extension through contact. Gap-to-gap power. Threw three shutout innings on the mounds. Attacks hitters. Short on plane stroke with good extension. Very simple load and good use of lower. Line drive stroke but has ability to drive ball through pull side gap. Small athletic frame. 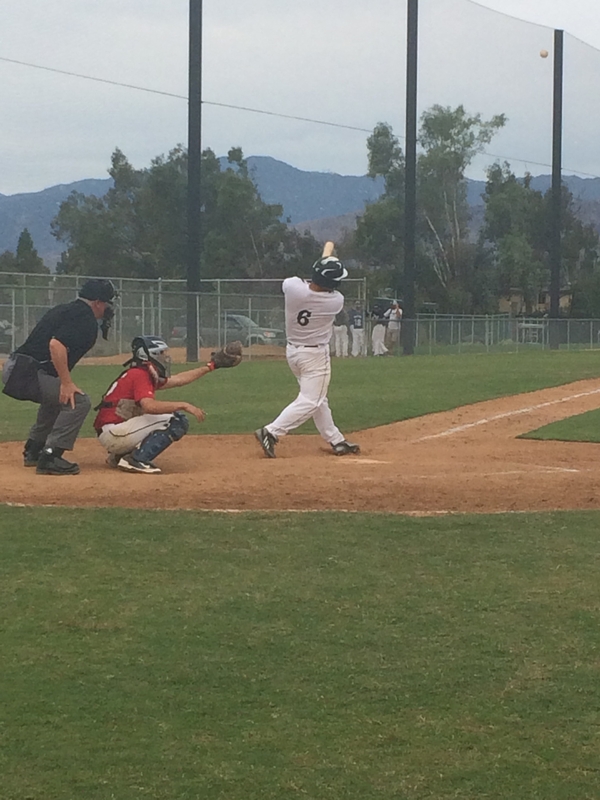 At the plate aggressive approach with some pull side loft. Loose levers with some whip through zone. Ran bases well with good instincts. Defensively recovers well, will lay out and covers ground. 4.31 home to first. Spark plug type athlete , quick first step and gains ground. Quick release and good accuracy. Very light on footwork and good feel for adjusting to hitters tendency. Sticky strong. With compact stroke. Loud at contact. Fence power to pull side. Flashes late extension. Lean frame. Loose rhythm with pull side pop. Two hard contacts to pull side. Wiry frame with good first step. Made routine plays and had quick release. Recovers well and works through target on throw. Over top delivery with slight cut. Fb Sat 81-83, cb Sat 71-73 with natural sharp break. 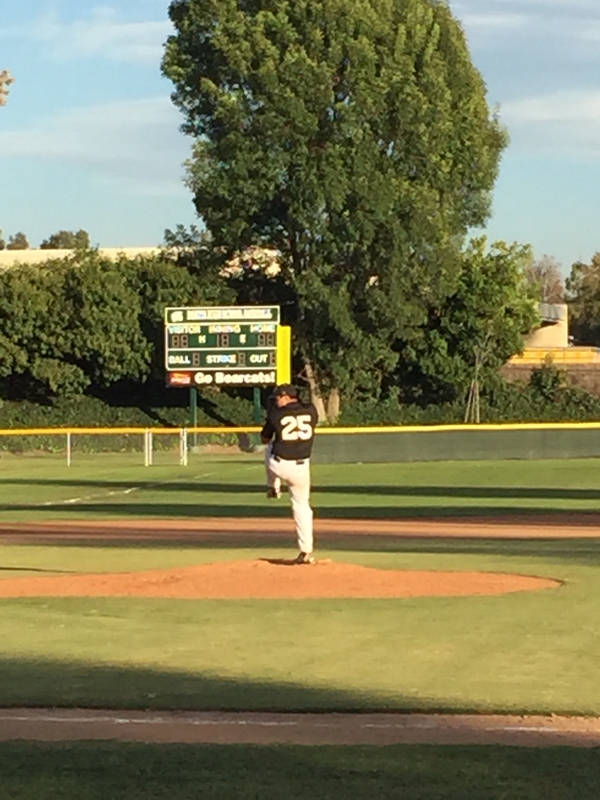 Raw on mound but provides good presence and pitches to contact. Works quick and very athletic off mound. Small wiry frame. In outfield good angles with quick first step. 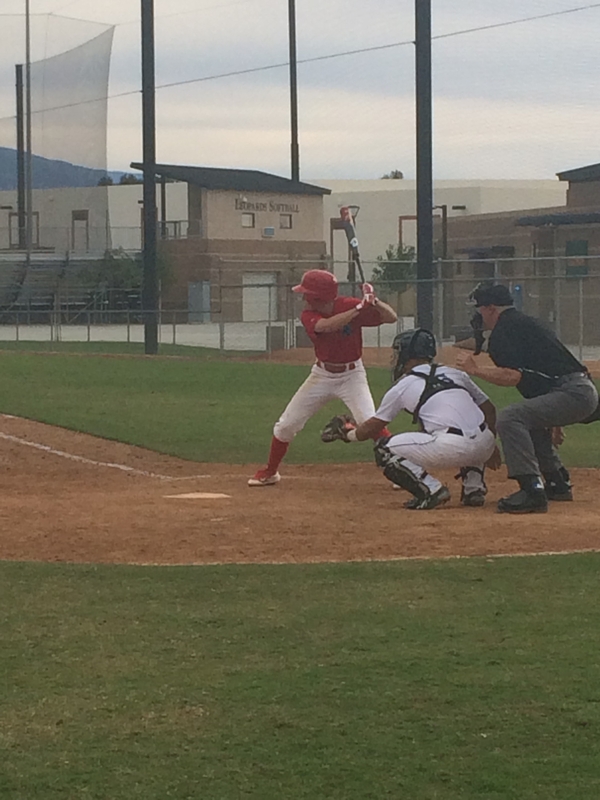 At the plate short on plane stroke with a little lift, on base paths very aggressive with great instincts. Hustles on and off field . Athletic at third base. Good feet. Strong arm across the diamond. Chests up. Attacks the baseball. Strong at the plate. Quick hands. Strong through contact. Get into a good launch position. Attacks fastballs in the zone. Strike zone discipline. Big strong kid with good hands. Quiet smooth approach at the plate, stays inside baseball, gap to gap approach with pull side pop. Tall Wiry, FB: 81-83mph, change and curve ball at 68. Good mound presence with control of all 3 pitches. Frame has room to fill but uses lower half well with good drive off of back leg. Long levers for projectability. Polished skills defensively. Blocks with instincts and ease. Soft hands yet firm for receiving. Handles pitch down well. Quick feet and hands in release to 2B. Plus carry with accuracy. 1.97-2.07 and consistent. Runs exceptionally well from station to station. Gets great jumps and strides well on extra base hits. 2-2 with 2 runs scored. 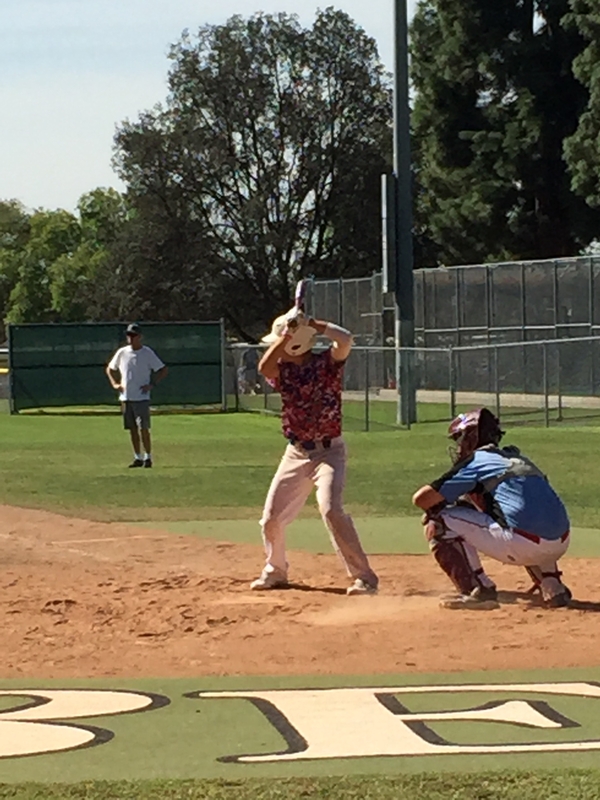 Tall, wiry frame with room to fill, simple approach and hands stay inside baseball. 2 for 2 with a double, single and 2 rbi. Smooth athletic middle infielder. Plays both positions well with good feet work and a smooth release. Small athletic, wiry frame, Quick feet and good angles to ball. Flashed good aggressive instincts on base path. At the plate spray contact type of hitter, and ability to work counts. Short quick release with good accuracy. Feet are efficient and transfer is clean. 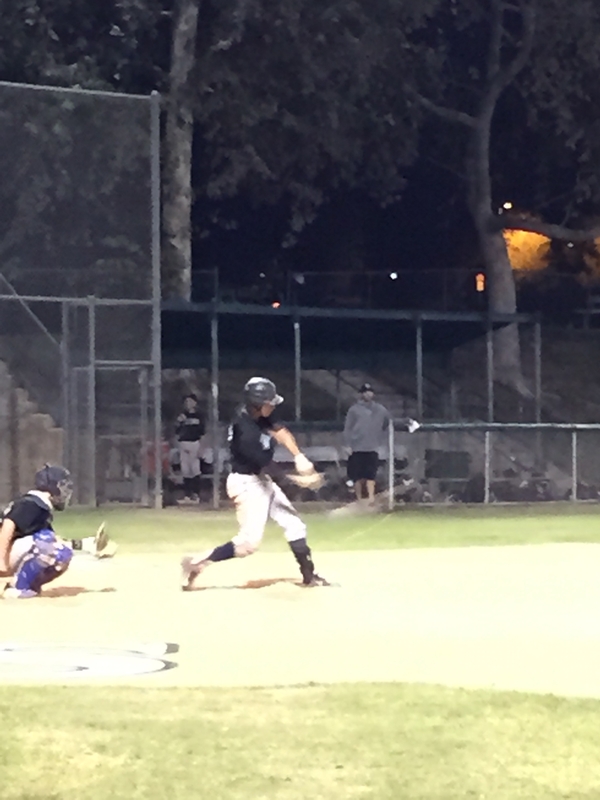 At the plate flashed gap pop to pull side with a double off the wall. Swing path is direct and more of a line drive approach. Lean, athletic frame with good actions at short. Covers ground and is very active on each play. Accurate arm with slight carry through target. Short quick arm from a high 3/4 arm slot. Smooth actions with good command of zone. Fb 83-85 with late life, cb Sat 74-76 with 11/4 medium break. Young arm with life with potential. Smooth actions with good rhythm through ball, quick release. At the plate aggressive approach, flat path with good leverage from lower 1/2. Athletic frame, quick first step with good angles and covers ground. Smooth actions with above average arm. At the plate works counts , stays inside ball and sprays ball to all fields. Quick arm from a high 3/4 arm slot. Smooth actions with good command of zone. Fb 83-85 with late life, SL 65-68 with nice bite. Short but Athletic, a lot more room to grow. 3 for 3 with 2 singles and a double. Tall frame with room to fill on the left side. Good lower half triggers, with good balance. Short compact swing, works middle oppo well. 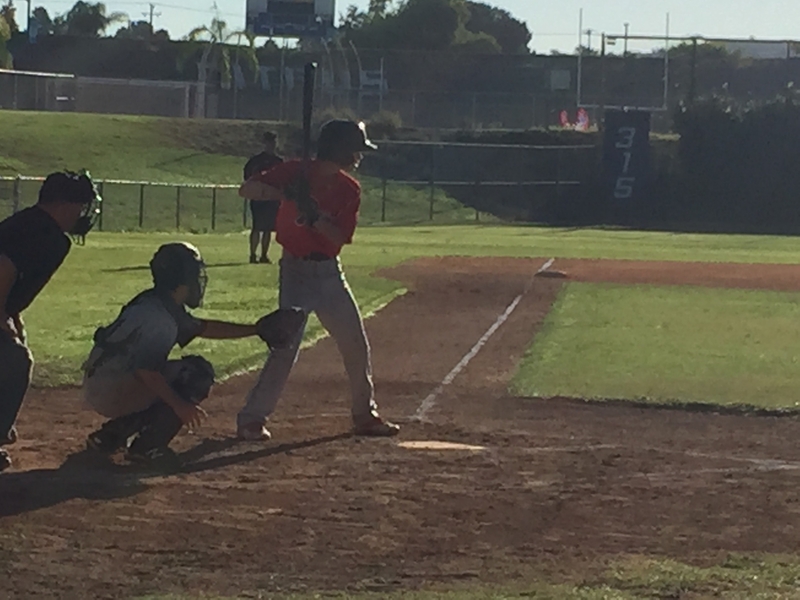 This entry was posted in 2015 Under Armour So Cal Classic UNDERCLASS, 2015 Under Armour Tournaments and tagged Adrian Candelaria, Alex Reelfs, Alex Zerfass, Alfredo Ruiz, Amari Riley, Andrew Devine, Andrew Jacob Barrera, Anthony Encalade, Ben Guess, Ben Hurst, Blaine Traxel, Blake Faddoul, Braeden Gowdy, Brandon Bayne, Braxton Dothard, Bryce Ruggeroli, Calhoun O'Loughlin, Cameron Repetti, Cameron Wong, Carlos Arellano, Chad Call, Chase Hanson, Chase Swenson, Chesterton Bradley, Chris Buting, Christian Cruz, CJ Soza, Cody Sim, Colin Boland, Colton McIntosh, Connor Kincaid, Connor Timko, Daniel Bailey, David Blanket, Dawson Dimon, Deagan Risnes, Devin Millan, Devon Graves, Dominick Santos, Emilio Mata, Ethan Nicholls, Ethan Watt, Evan Fitterer, Evan Mele, Grant Askins, Grant Newton, Ian Katz, Ise Patrick, Ixeh Lopez, Izick Leyva, Jack Dolack, Jack Drury, Jack Rozuk, Jacob Perez, Jacob Villegas, Jake Habelitz, Jake Sedienkranz, Jared Farhat, Jared Green, Jared Minor, Jared Platero, Jason Lopez, Jason McCall, Jeffrey Prescott, Jeovani Delgado, Joe La Fountain, Joe Nicolai, Johnnie Holland, Johnny Cuevas, Jon Carlos, Jonathan Ho, Jonathon La Vallee, Joneil Yanga, Jordan Greenway, Jose Verduzco, Joseph Ramirez, Joshua Zamora, Josue Sanchez, Juan Sanchez, Julian Valera, Justin Brodt, Kaden Sheedy, Kyle Hall, Kyle Hatai, Lalo Beron, Lasith Narasinghe, Leonol Castro, Malone Wright, Marco Martinez, Marco Robinson, Marcos Carbajal, Mark Molz, Mason King, Matt Crow, Matt Elizalde, Michael Granados, Michael Marsh, Michael Santana, Mitch Benson, Myles Gonzalez, Nathan Ortiz, Nick Hansen, Nick Miranda, Nick Pena, Nino Vultaggio, Noah Cardenas, Noah Hemphill, Noah Zamora, Nolan Braga, Oscar Mancillas, Quinn Mathews, Ricardo Ortega, Richard Castro, Ricky Tibbett, Ruben Hernandez, Ryan Graves, Ryan Swarthourt, Sam Hreha, Sathya Kumaraguru, Scott Cruz, Sean Noguchi, Sebastian Orduno, Sergio Dawson, Shane Roberson, Shawn McAdams, Simon Heck, Steven Ricard, Thomas Bainton, Tom Lipjanic, Ty Kara, Tyler Frazier, William Green, Zac Ribera on October 20, 2015 by Andy Ferguson.